Yes, the Jack McGee Kawartha Komets enjoy a great relationship with our Peterborough Petes. In January the Petes joined with the Komets in a BIG game to raise $15,000. for the Five Counties Children's Centre. 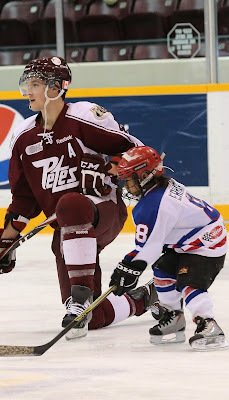 The Petes have always been co-operative and our players enjoy the opportunity to "play with the big guys".